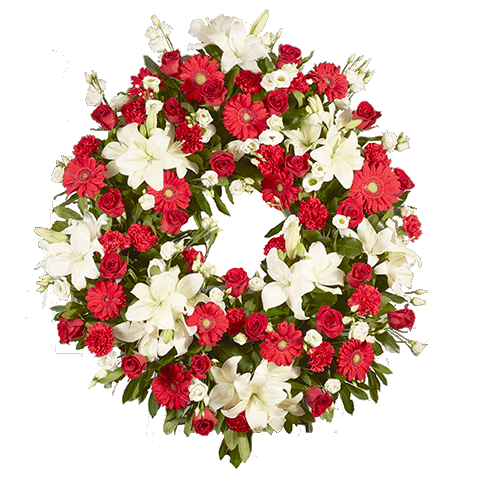 A red and white wreath composed of roses, gerberas, red carnations, white lilies, and white lisianthus, will bring a touching tribute to a funeral. It can be delivered to the funeral, with an added personalised touch. It consists of around 80 to 85 flowers and is 100 cm in diameter.